On my latest trip to Italy, I ruined all my hair styling tools. I’ve been dragging my feet on re-purchasing these items until I saw a video that showed off the Revlon Salon One-Step Hair Dryer & Volumizer. This blow dryer is magical, and can give you a pretty good blow out in just minutes. Disclosure: This post may contain affiliate links, from which we will make a small commission if you click thru and complete a purchase. On my very first trip to Europe, I blew up my straightening iron, which left my hair in a big frizz ball the entire trip. This past summer, we spent three weeks in Europe with no problems. So of course on my latest trip to Italy, I ruined all my hair styling tools from my straightening iron to my favorite beach waves curling iron. I’ve been dragging my feet on re-purchasing these items until I saw Megan and Wendy’s video using the Revlon Salon One-Step Hair Dryer & Volumizer. As you can see in my video, my only complaint is that it could get a little hot around my face. Other than that, this blow dryer is magical and can give you a pretty good blow out in just a few minutes. What I really like about this blow dryer is that it’s easy to pack. I’ve gone on several trips now and loved having it with me as my one styling tool. I still need to replace my beach wave iron, but it’s so expensive. This blow dryer does the trick and it’s not that pricey for what you get. 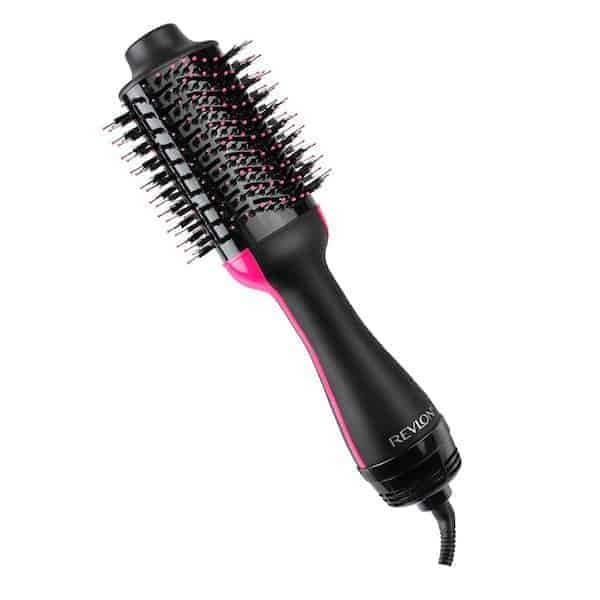 Did the Revlon Salon One-Step Hair Dryer Really Change My Life? As you can tell, I’m pretty low maintenance. I don’t have a lot of time in the mornings since I’m trying to get everyone else ready. And if we’re traveling, I really don’t care too much about what I look like. But I cannot leave a house or hotel with wet hair… ever. So, yes. Getting that extra 20 minutes a day has changed my life, no joke. 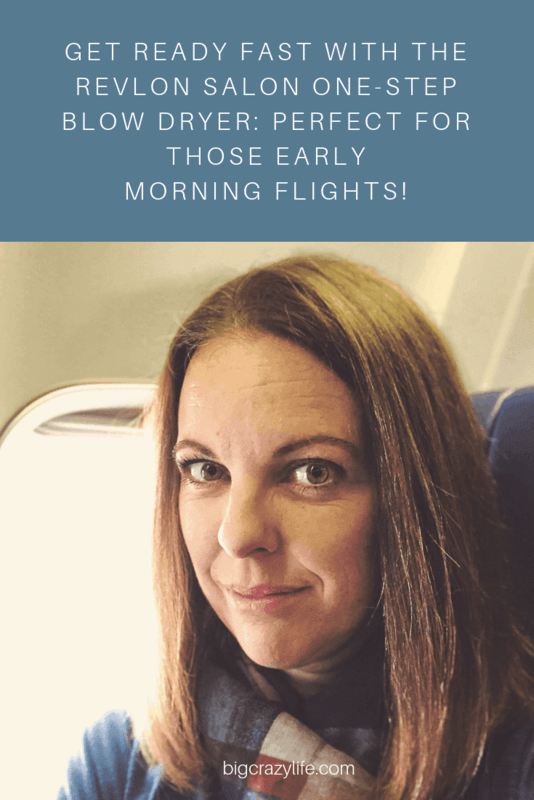 Now getting up and out on travel days is a lot easier. I’ve even started using this on my girls who have really long hair. Let me know if you have any questions. I’d love to know what you think! Looks like a great hair dryer. I’m not coordinated enough to use the brush and hair dryer successfully for the length of time it takes to get the job done…not to mention my arms get too tired!! I think I will be checking it out. What a great idea! I think I’ll try it!